After a varied career, ranging from construction work to the public service, Christopher graduated from the Australian National University (ANU) in 1994 with a First Class Honours degree in Archaeology. Following graduation, he was awarded an Australian Postgraduate Award Scholarship for study toward a Master of Arts degree. Since graduation he has worked as professional archaeologist, as a consultant on both prehistoric and historic projects as well as casual teaching contracts. He continues to carry out research and is currently involved in the investigation of prehistoric sites in the Atacama region of Northern Chile. While working as a professional in the field, Christopher's passion has been the promotion of archaeology through public awareness and education and the presentation of recreational courses and organised study tours. He has been presenting a range of courses in archaeology at the Centre for Continuing Education at the ANU and the University of Sydney since 1995 and as a result of student interest began taking groups into the field. This activity has expanded from local weekend trips to now include tours worldwide. is the award-winning author of Understory: a life with trees, Mr Wigg, Nest, and Where the Trees Were. She has PhDs in English, Literature and Creative Writing, and has been leading writing retreats and workshops for the last decade. Inga is regarded as 'a particularly fine writer of place' and, with both her fiction and nonfiction exploring our relationship with the natural world, it is no surprise that although writing is an indoor occupation, Inga prefers to be outdoors. Her tours explore striking natural landscapes, while the writing workshops focus on how to capture what we see and experience on the page. By utilising the literature of the places we visit, Inga brings together natural, human and literary histories for a rich travel experience. Juan is a graduate of the University of Cusco. He is a freelance guide and is Time Travel's representative in Peru. While qualified in history and archaeology, he also has a strong interest in flora and fauna and is able to seek out the rare orchids of the Machu Picchu cloud forest or find birds in the Amazon jungles. Whether leading two or twenty people, Juan provides a personal service and makes sure that everyone is comfortable and happy. Juan is also a trained paramedic. Half a century ago, before you could see far away places by watching the television, Oscar was born in Argentina. There, his desire to explore farther than the next hill grew and grew, until one day his curiosity got the better of him. He packed his bags, and left for Australia, where he made his home, and spent most of his life. Everything he knows, he has learned here. However, that desire to see beyond the next hill has never left him, and he is now at home wherever he is working, be it the neat avenues of Canberra, or the serpentine suburbs of Buenos Aires. Oscar is a painter, and has studied at the ANU, specializing in identity and its representations. He has traveled several times to Europe, and engaged as tour guide, explaining art in the museums of Spain. He has also traveled to Chile, Bolivia and Peru, assisting with the language and advising about the arts. And, of course, he has spent long periods in Argentina. His knowledge of arts and customs abroad make his an experienced and qualified guide. In her own words, "Adelaide, where I grew up seemed to be so remote from the tales of countries that captured my interest from a very young age and I was impatient to find out for myself if they were true. I have been fortunate to explore and have so many different experiences in a wide and varied range of countries over the years. My aim in life is to never stop learning, discovering and trying to understand the similarities and differences between the cultures, values and people I have come to know in my travels. I have taken groups for Time Travel for over ten years and have made many friends from these groups in this time. I look forward to making more in the future!" 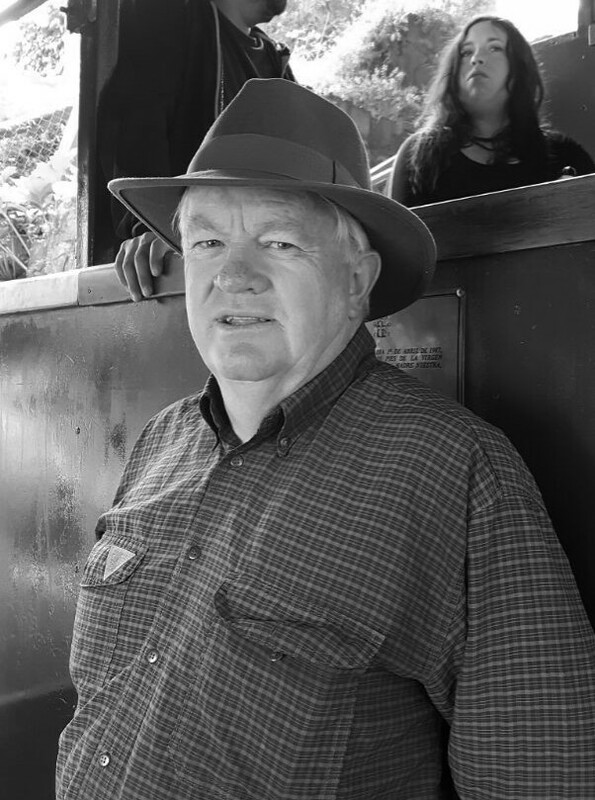 Ian is a Canberra-based naturalist, conservationist, author, natural history blogger, tour guide and ABC broadcaster, who has been leading natural history tours throughout Australia since 1984 and South America since 2007. He has led numerous tours to South America and also visited Madagascar and Borneo. He was awarded the 2001 Australian Plants Award and the 2006 Australian Natural History Medallion for services to conservation and education. In 2018 he was awarded a Medal of the Order of Australia for service to conservation and the environment. 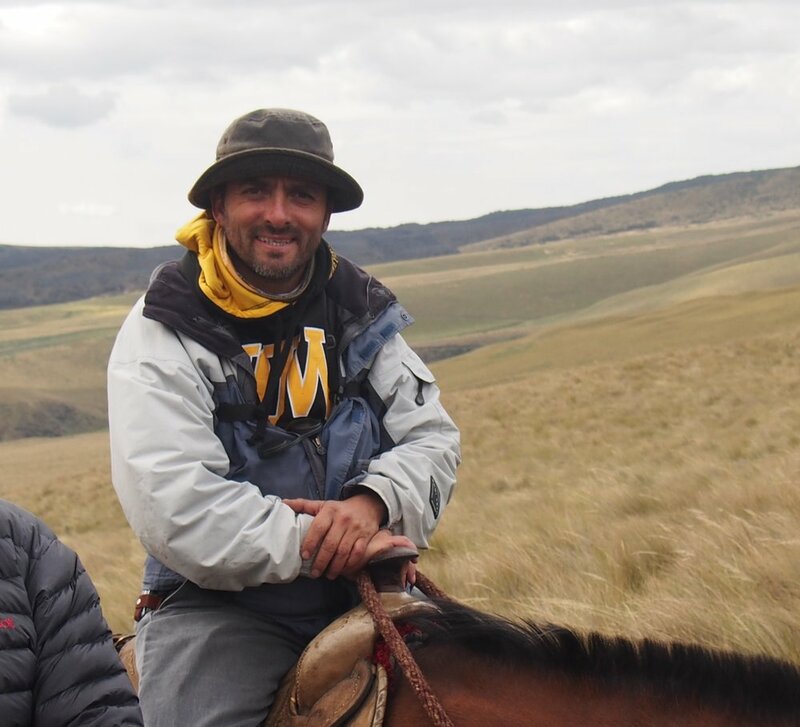 Roberto is a native of Ecuador and has been guiding and leading tour groups for over 25 years. He is an expert wildlife guide and is at home on horseback as he is on foot. He has worked in the Galapagos but now spends most of his time on the mainland ranging from the high Paramo, through the cloud-forests to the jungles of the Amazon basin.